Matador blew off Cassette Store Day this year — something about our misplacing our calendar. But that hasn’t stopped Kurt Vile and Chelsea Light Moving from putting together tour cassettes (splits with Merchandise and VBA, respectively). to the best of my knowledge, you’d have to go to one of the shows. 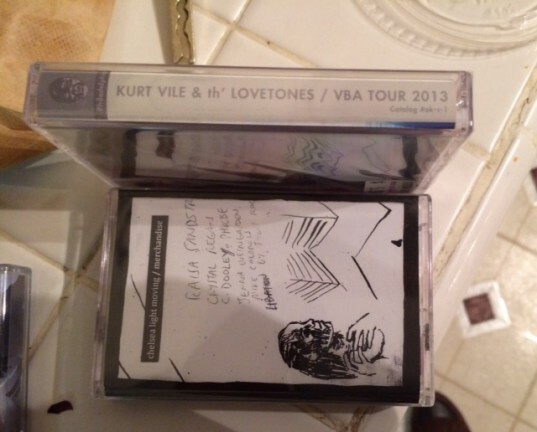 But Austin’s End Of An Ear has the Kurt Vile/VBA cassette.